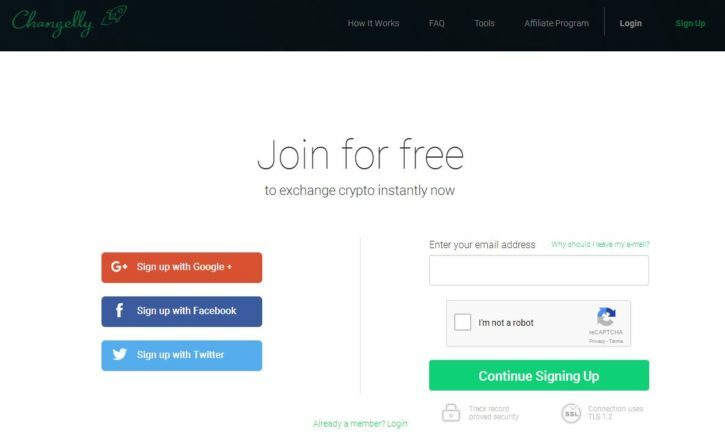 Changelly is an excellent cryptocurrency exchange platform, which deals in trading of digital currencies like Bitcoins, and other such Altcoins. It has lightning fast transacting process when you want to purchase Bitcoins or other supported altcoins with your traditional currencies. Changelly was founded in 2015, and since then it has attracted millions of registered users from around the globe. In recent times it has a weekly transaction of more than 15000, and with the monthly turnover of around 60,000 Bitcoins. It provides an application interface and a customized payment interface for any digital services that might increase the turnover of the trade. It shares a partnership with many companies like Coinpayments, Coinmarketcap, Jaxx, Uquid Debit card, Mycelium, etc. 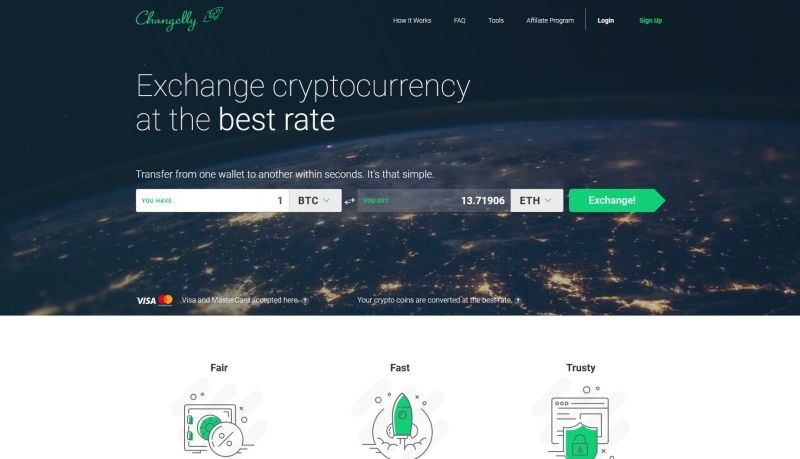 Changelly provides world-class secure transactions with the best exchange rates to make the trading process trustworthy and beneficial for the traders. It believes in building mutual trust with their clients, thus maintaining transparency in the overall business. It charges a processing fee of only 0.5% for the overall service they provide. They present a flexible interface to the traders for instance exchange of cryptocurrencies with the traditional currencies. 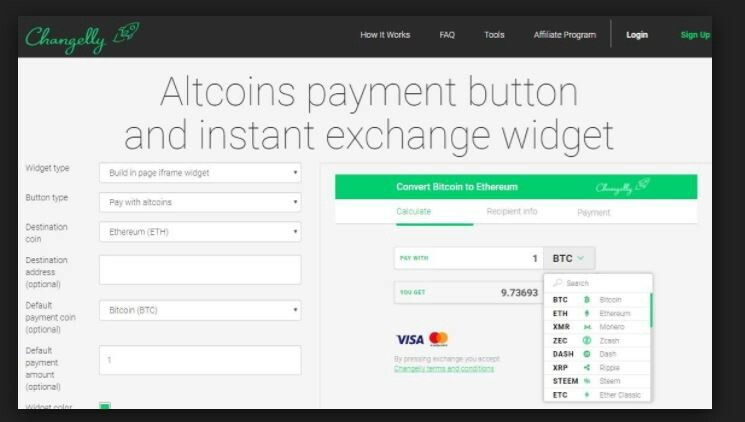 Changelly offers a versatile platform for digital currencies and supports various other currencies such as Bitcoin, Litecoin, Bytecoin, Monero XMR, DigitalNote, XDN, Fantomcoin FCN, Ethereum, Dash, Next, Radium RADS, Factom, Lisk, Expanse, Steem, QuazarCoin, Dashcoin, Dogecoin, NuBits, Ripple, Aeon, Synere AMP, Ethereum Classic, Navcoin, Zcash, etc. Not to mention Changelly is one of the few crypto exchanges that supports a wide variety of cryptocurrencies in a secure and convenient platform.